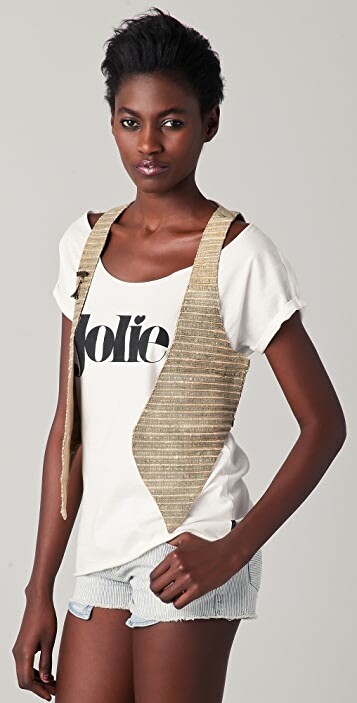 This metallic vest features an extended front hem. 1.5" straps. Lined. * 22" long, measured from front shoulder. * 14" long, measured from back shoulder. * Shell: 75% viscose/21% cotton/3% metal/1% polyester. 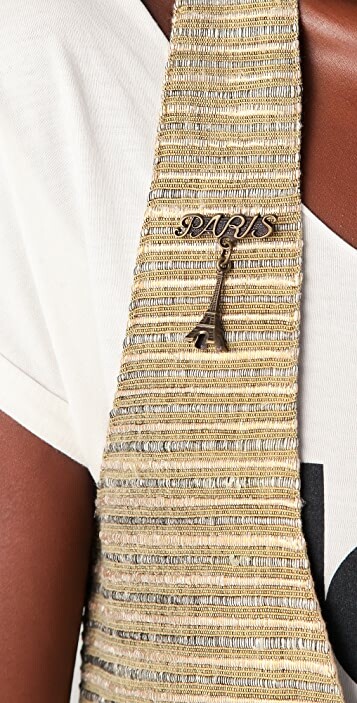 Just received this and it is stunning in person--incredible quality with fabric backing and a gorgeous textured gold fabric that really pops. The cut is magnificent--very flattering. Highly recommend. I can't wait to wear it!